The HAAS TYRON Double Shaft Slow Speed Shredder convinces due to his strong performance, aggressive infeed, high economic efficiency, and a long lifetime. The machine with the Viking is due to the “intelligent” HAAS Double Shaft System the perfect solution for the effective shredding of the most difficult materials. 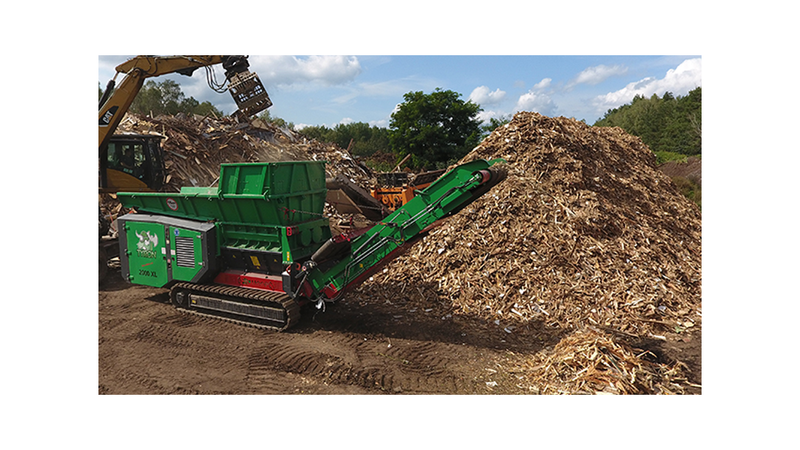 Two independent driven shredding shafts ensure highest flexibility! Depending on the material, the shaft rotation speed, rotation direction and reversing times can be adjusted at any time by the customer. The wrapping of wires and long-fibered materials is avoided, the throughput maximized! The unique HAAS Double Shaft System reduces wear and downtime in comparison to synchronously running pre-shredders.